Do you want to transform your city, region, or business into a must-see destination? Destination marketing is the key—and we have a storied history of success. Tourism and travel are sectors that continue to grow at a rapid pace. In some areas, they are surpassing the contributions from traditional industries that used to drive local economies. Smart branding strategies and tactics can transform your city, region, or business into a must-see destination. 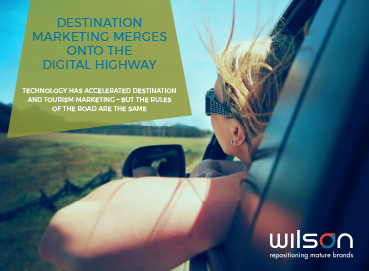 New technologies make reaching those audiences at every stage of their journey more practical than ever before. In many cases, those communications are an expected and welcome part of the experience. Create destination experiences that boost attendance and increase return. What’s unique about your location? And by that, we mean getting beyond table stakes, i.e. beaches with blue water and sand. What really makes you different? We’ll help you find it and communicate in a memorable way that beckons travelers from everywhere. Pulling groups of local businesses together to work for the greater good can be a maddening process. That is, until they can see the over-arching goal. We work with local organizations to paint a clear picture and create a map that delivers results everyone can see. The days of a simple mailing list or painted barn roof driving thousands of visitors to your destination are gone. Everything moves faster now, but travelers are also interested in the unique and different. That means every destination has a chance, if you can reach the right audience. Technology means you can.